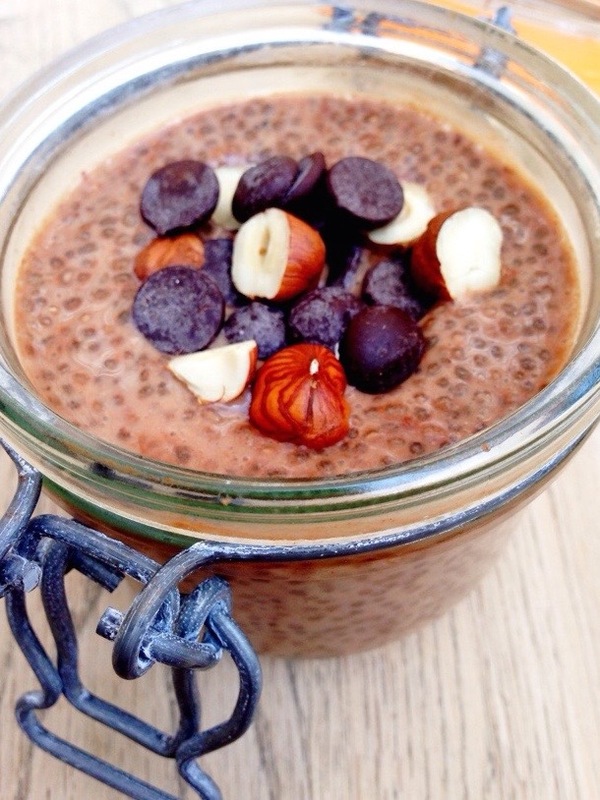 I’ve been having chia pudding for breakfast a lot lately but this recipe is a little more indulgent than what I would usually have so it’s definitely more of a dessert. For a dessert this is as guilt free as they come, it’s bursting with omega 3 fatty acids and protein and full of antioxidants too. 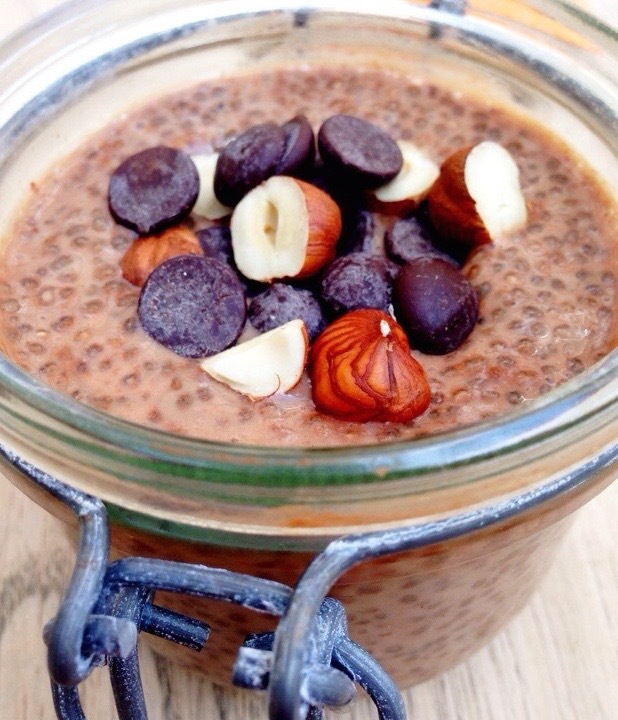 Add the chia seeds and cacao powder to your bowl or jar. I like to use little individual portion size jars. 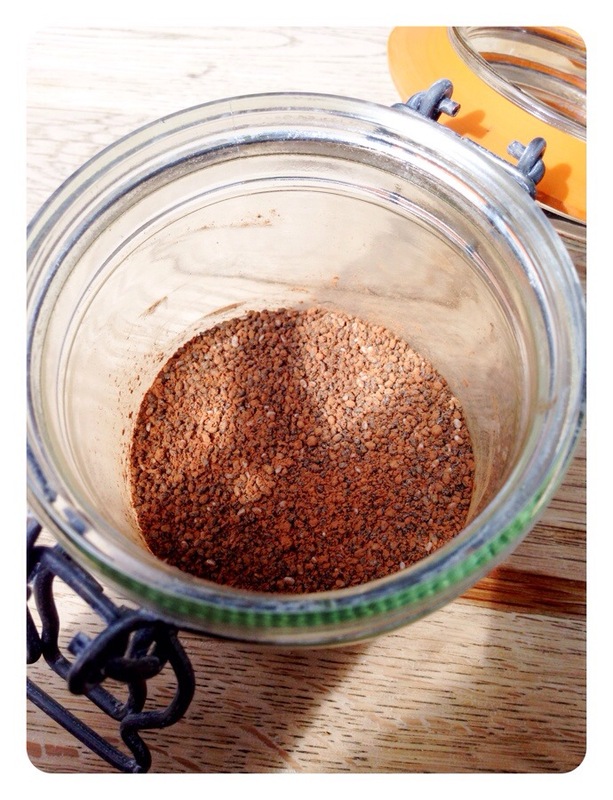 Mix them around, using the back of a spoon to crush any clumps of cacao. Pour in the almond milk and give it all a stir. Then pour in your sweetener and stir it all around again. Let it rest for a minute or two and then stir it all around again. 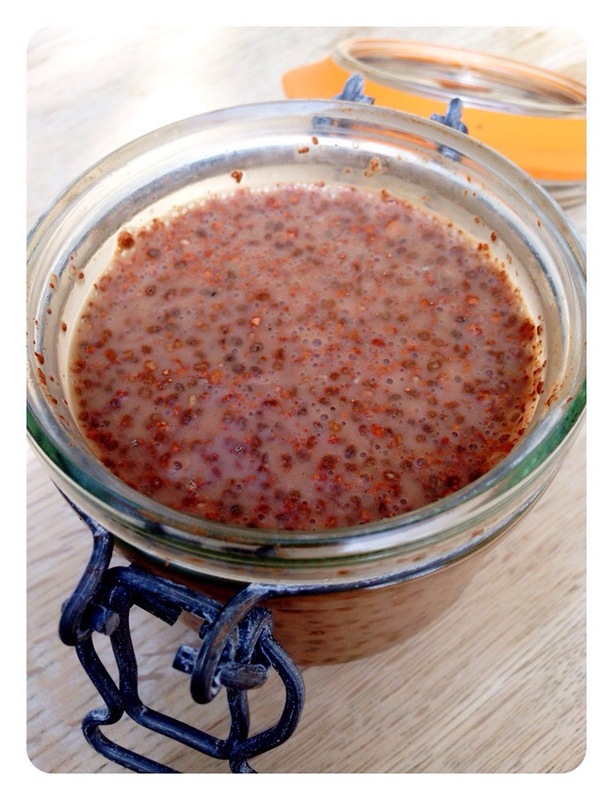 The chia seeds will start to float in the mixture and thicken it. Let it rest again and stir one more time and then pop it in the fridge. Leave it in the fridge for about 2 hours before serving. If I’m making it for breakfast I make it the night before but if it’s for dessert make it before you start dinner. 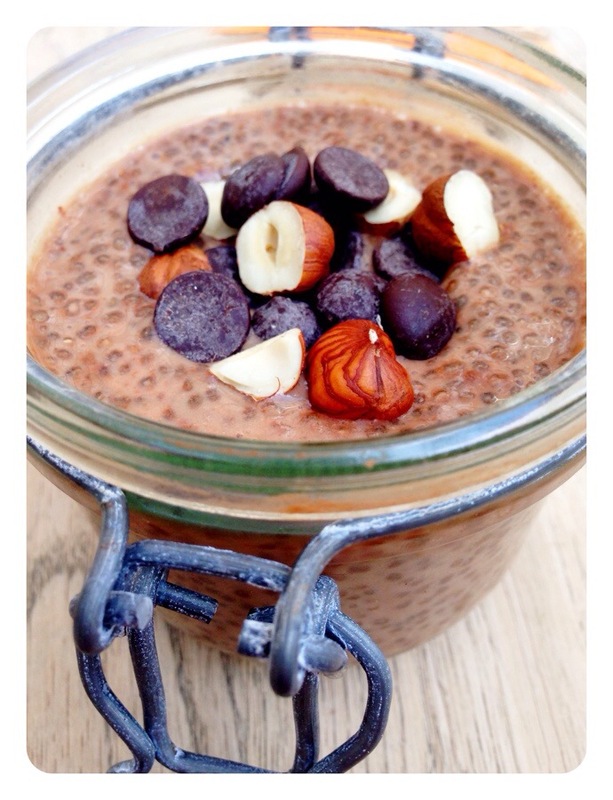 When it’s ready sprinkle with chocolate chips and hazelnuts and serve.